Looking for a house or townhouse, prefer the Fort Zumwalt school district, but would consider Francis Howell or Wentzville. 2+ bedroom, 2+ baths. 1+ car garage. Prefer a basement. ~ < $170. Looking in Fort Zumwalt school district. LOVES 1.5 stories, but will consider 2 stories or other styles. 4+ Bedrooms. ~ <$350. 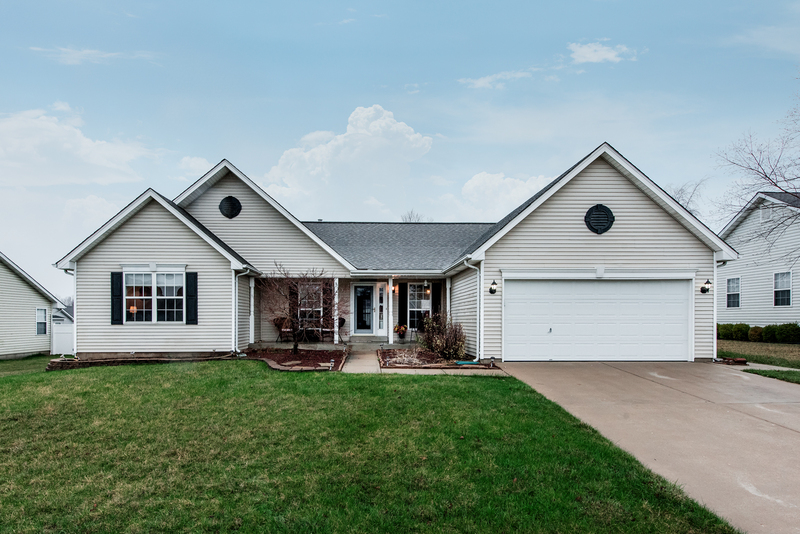 Looking in Wentzville, Troy, Wright City, or Foristell for a updated or newer 3+ bed home with walk-out basement on 1+ acres, or on a private/tree lined lot. Prefer ranch ~ < $300. On this episode of "The American Dream," Chad had the opportunity to tour Lombardo Homes' breathtaking custom display home in their new Westleigh subdivision, located close to Hwy DD and Diehr Road at the edge of O'Fallon and Wentzville. Westleigh provides grand estate homesites, some that are over 1 acre. Kari Green, Westleigh's Custom Home Consultant, described the subdivision as having "wooded homesites, rolling hills, amazing topography" with a "city-close and country-quiet feel." Plans range from 2,500 square feet to over 5,200 square feet, and homes range in price from $500,000 to just over $1,000,000. 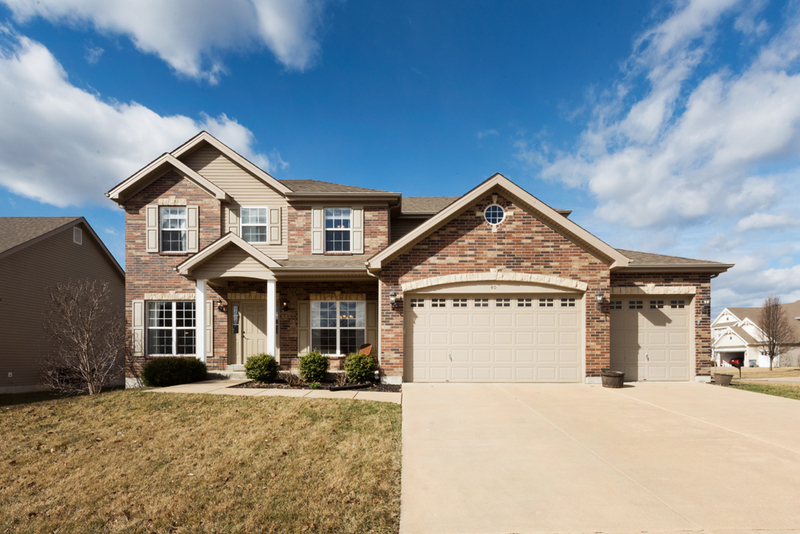 Westleigh homes are located within the Wentzville School District. Kari detailed how Westleigh homes are customized for each client's personalized needs and wants during Lombardo Homes' trademarked Discovery Event. Kari went on to say that the Discovery Event is "how we get to know our clients intimately, how we get to know them as people, and how they want to live in their homes that are different from their homes of yesteryear." This process allows Lombardo Custom Home Consultants to help guide their clients to make smart customizations for how they want to live. Interested in learning more? Reach out to us at 636-229-SOLD for help in building new construction in Westleigh or any other area. Lauren knew about The Chad Wilson Group because Lisa Peirick, one of the team's agents, had helped her parents buy a home. Lisa was excited to work with Lauren to sell her condo. Then, after living together in Jason's home for a while, Jason and Lauren decided they wanted something bigger, so again, they called Lisa. This time, Lisa helped Jason and Lauren work with a local builder to buy a new construction home. Since she was going to be so busy with that process, she tapped her colleague, Julie Scarpace, to manage the listing of Jason's home. The beauty of working with a team is there is always someone you know and trust to help, when needed. In this video, Jason and Lauren talk about the ups and downs they faced when selling their two homes and why they chose a Realtor's help when building a new home. There is nothing more gratifying than earning the privilege of working with a client again. When we hear we have satisfied a client to the level that they wouldn't consider talking with another Realtor, we know we are doing things right. The Chad Wilson Group is ready to help more home buyers and sellers make their move, and offer them the same blue ribbon service we offered to Jason and Lauren. Thank you, Jason and Lauren, for putting your trust in our team. We wish you a lifetime and good health and much happiness in your new home! If you or someone you know is considering buying or selling a home, we want to earn your business. 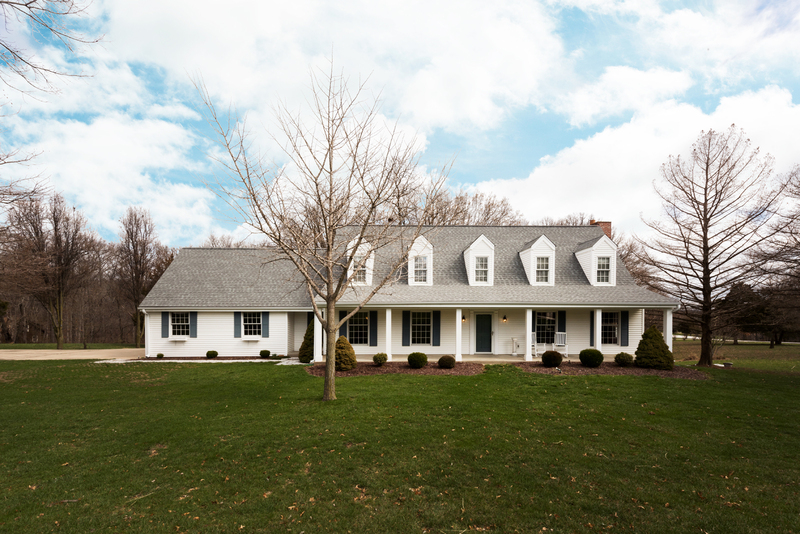 Contact us at 636-229-SOLD or info@TheChadWilsonGroup.com. We can't wait to put our team to work for you! Sunday, April 8, will be a busy day for the agents with The Chad Wilson Group. Nine open houses are scheduled throughout the afternoon to showcase some fabulous homes we have listed for sale. Potential buyers will find homes of many shapes and sizes...from ranches to 2-stories, from Wright City to St Charles...and at a variety of price points. These homes are move-in ready and have excellent features to fit your needs. Pack your cars, pack a lunch, bring your family and friends and plan a fun afternoon touring some great homes. Maybe you will find your dream home! Can't wait to see you there! Click on the photo below to see more photos and information about each home. Questions? 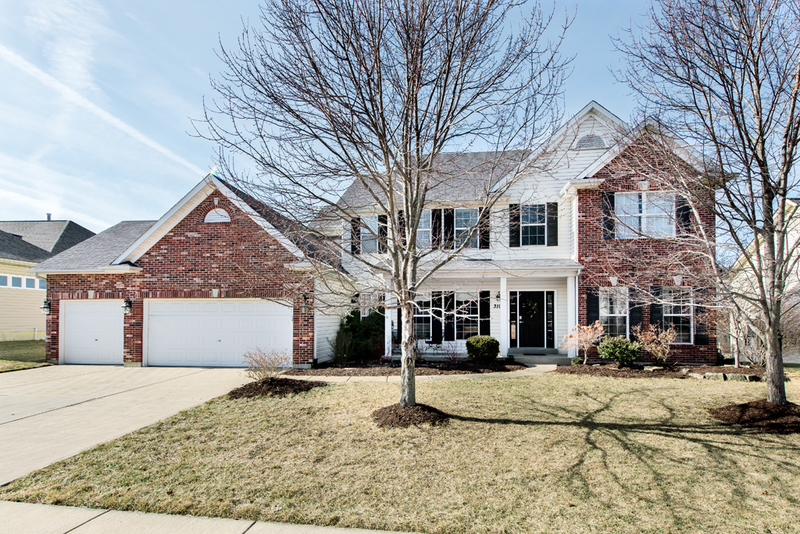 Contact our team at 636-229-SOLD or info@TheChadWilsonGroup.com. We look forward to talking with you! 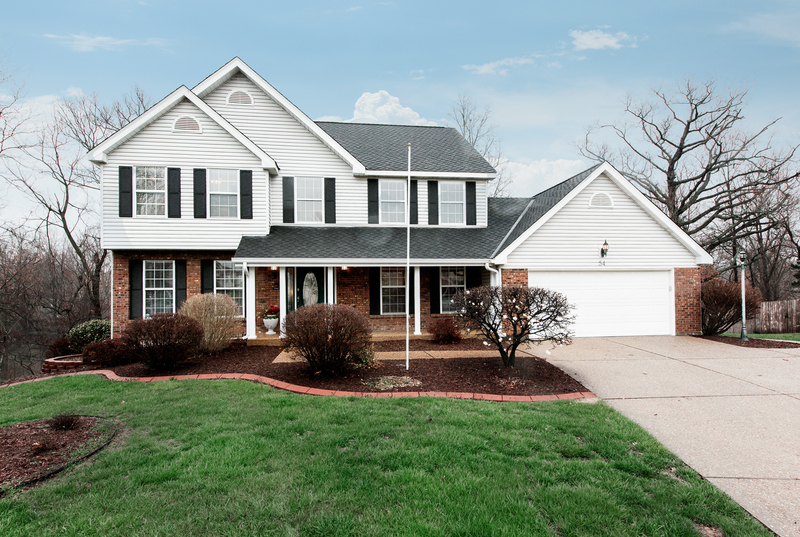 54 Lansdowne Ct, St Charles, MO 63366 - $340,000 - UNDER CONTRACT! OPEN HOUSE CANCELLED! Hiring the right real estate agent is a key component to laying the foundation for a smooth real estate transaction. A quick Google search of real estate agents in your area will give you many different choices. The question is, how can you find the right real estate agent to meet YOUR needs. That agent doesn't necessarily work at the largest brokerage or close the most transactions, empirical data that is easy to verify. It takes a little more investigation to find an agent that is an experienced professional who will listen to you, understand and address your concerns, and know your local market. At the Chad Wilson Group, we like to say, "Anyone can list a home…a good realtor will price and market a home to SELL IT." On a recent episode of The American Dream, co-anchor Jenn Morris asked Chad to discuss the process for how sellers should go about finding the right real estate agent to list their home for sale. Chad laid out the following criteria and steps to vet real estate agents. 1. 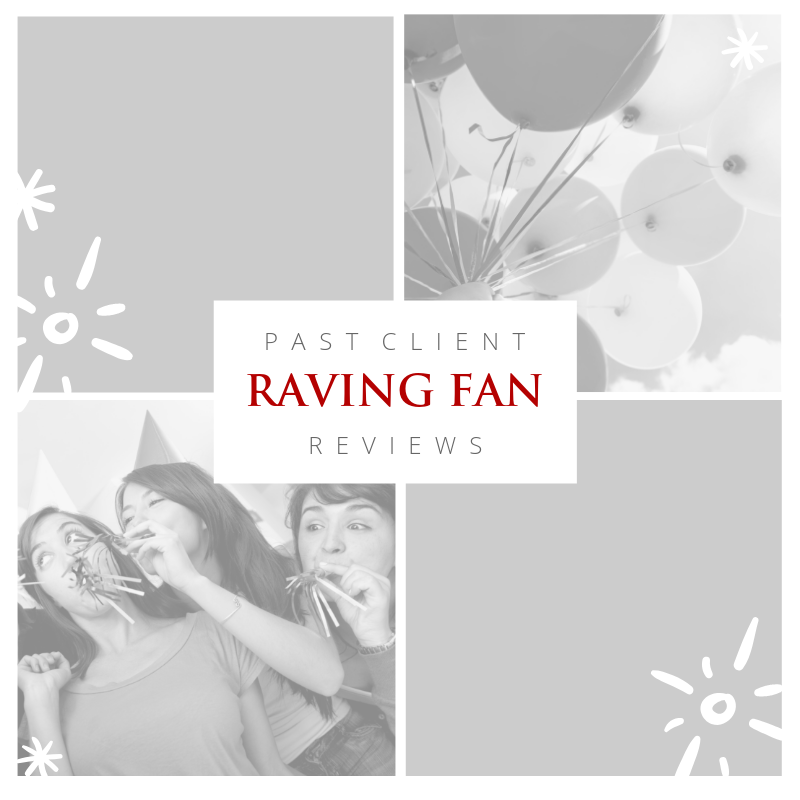 Referrals – Talk to past clients. Successful agents will make customer satisfaction their number one priority. 2. Online Reviews – Again, find the agents where plenty of past clients are raving about their customer service. Check out Zillow and their Facebook page for past client reviews. 3. Find an Area Expert –Look up the homes that they have sold in the past year and determine how many were in your area. 4. Interview Several Agents - Ask about their experience, qualifications, work history, and track record. Look for a realtor who has the experience to handle your transaction and one with whom you feel comfortable working. 5. Professional Photography - Make sure the agent hires a professional photographer to take pictures of their listings. Review their prior listings to ensure the photographs look exceptional. 6. Do they know how to price a home? Look at their List-to-Sales-Price Ratio to determine how close to original list price their homes typically sell. Jenn Morris dug a little deeper, asking Chad for an example of what he meant by “anyone can list a home, but a good realtor will price and market a home to SELL it." Chad shared a story of one of the team's recent successes in selling a home. The Chad Wilson Group was contacted by a home owner in North St Louis County. Their home had been listed with an agent for just over 100 days with very few showings and no offers, which led to them to cancel their agreement to work with that agent. Because the owners were dealing with some personal issues in their lives, they had not paid close attention to the marketing that was being done on their home. When they finally checked out their listing online, they were disappointed to find that there were only 6 pictures of their home, not professionally taken. Our team had just sold their neighbor's home up the street, so they called us for an interview and we secured the listing. The data indicated the appropriate listing price for their home should be $7,000 HIGHER than it previously was listed. 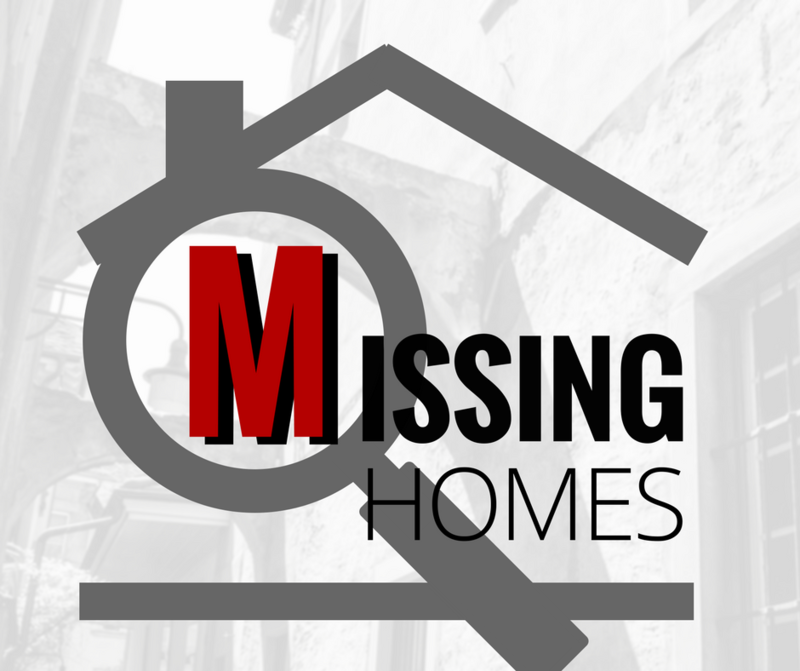 We found that the square footage of the home wasn’t listed on the MLS, therefore excluding them from a lot of searches. Our team took professional photographs and implemented our comprehensive marketing strategy…and we received a contract in 3 days. The takeaway lesson is this… An experienced REALTOR® will help you prepare your home for sale and market it in such a way to influence buyers’ perception of the home’s value, with the end goal of increasing the price the buyers are willing to pay for the home. Lastly, Jenn asked Chad what criteria should NOT be weighed heavily when hiring a listing agent. 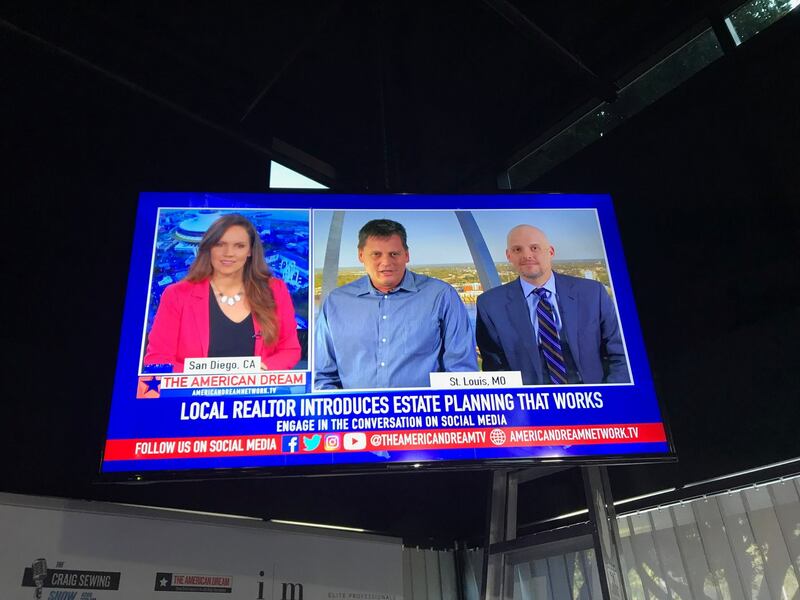 Chad indicated that sellers shouldn't make the mistake of selecting an agent just because they suggested the highest list price for your home, or who works for the lowest commission. Just because you list the home at the price recommended by the agent you are hiring, "doesn't mean you will sell it at that price, and there is a very big danger in overpricing a house, just as there is in under-pricing a house, when you could potentially leave money on the table." Ensure that the real estate agent you are interviewing can "defend the proposed value of the home. During contract negotiations, if you receive a low offer and the listing agent cannot defend the list price of the home, that agent will not be a very effective negotiator." Also, think twice about hiring an agent just because they will discount the listing commission. One of the things to understand is that discount agents are just as likely to reduce the value of your home to someone who’s potentially going to buy it. In other words, if they’ll give their own commission away so easily, why wouldn’t they give away yours? You should hire an agent who is a professional negotiator, one who is willing to act on your behalf because they know how to negotiate well and get you the most money for your home. Also, a discounted listing means fewer resources to market your home and service your needs. The Chad Wilson Group's team of Listing Specialists excels at pricing homes properly from the start to maximize the seller proceeds and minimize the days on market, and our team of marketing experts makes sure YOUR home is noticed. 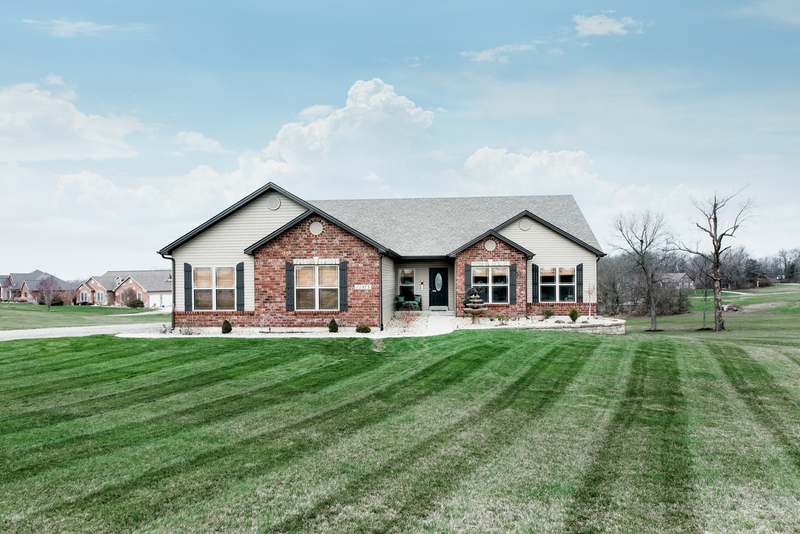 Give us a call today at 636-229-SOLD, and we’ll set up a time for one of our Listing Specialists to conduct a pricing and marketing analysis of your home. Dean and Emily bought their first home in 2017. They trusted The Chad Wilson Group to help them find a home and work through the processes to purchase it. In this video, they talk about the timing of their decision to purchase and why they wish they had done it sooner. According to the National Association of Realtors, in 2017, adults aged 36 and younger made up the largest group of home buyers, at 34%. Sixty-six percent of those were first-time home buyers and 92% of these younger buyers hired a Realtor so they wouldn't have to make these big decisions alone. One of the biggest hurdles first-time home buyers have to overcome is financing their purchase. While it is true that some savings must happen in order to close on a home, young buyers often have a misconception of just how much is needed for a down payment. One of the most popular financing programs for first-time home buyers is an FHA loan, which has less restrictive qualification requirements and often only requires 3.5% down. That can mean just a few thousand dollars for many home purchases. And, best of all, the monthly mortgage payment is often significantly lower than the rent payments these buyers were making. If you are thinking about buying your first home in 2018, contact The Chad Wilson Group so our experienced agents can help you find the best home for your lifestyle. Our trusted lender partners will provide sound financial advice so you make a wise investment. We are excited to help make your home ownership dreams come true, just like we did with Dean and Emily! On this episode of “The American Dream,” Chad welcomed guest Scott Stork, Estate Planning Attorney for Polaris Law Group, LLC. We are honored that Scott shared his expertise about estate planning in Missouri. Scott is a member and a Development Team Leader for the National Network of Estate Planning Attorneys and practices law in St. Charles, Missouri, serving as Chad’s Estate Planning Attorney. 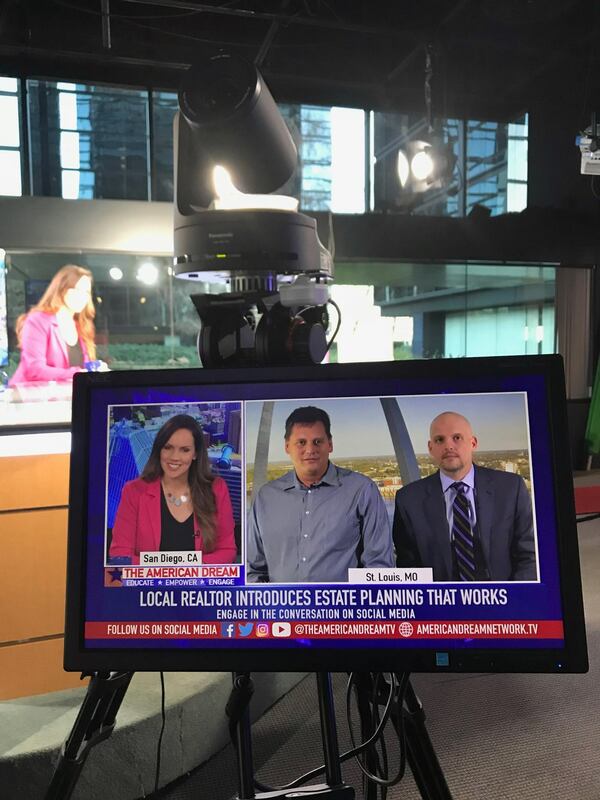 Jenn Morris, co-anchor of The American Dream, said “Many people, especially homeowners, are really concerned about how to keep their nest eggs and their property out of probate. What is the best way to do that in your opinion?” Scott indicated that there are multiple ways to keep property out of probate and went on to describe three different ways and the benefits and risks of each. First, Missouri statute provides for the ability to keep a home out of probate by using a beneficiary deed. A beneficiary deed is the “first line of defense for keeping things out of probate,” where the homeowner names individuals, usually their children, to take over as the homeowner upon death. The home then passes and transfers to the people named in the beneficiary deed without going through probate. The drawback that Scott sees with beneficiary deeds is that without a well laid-out plan in advance, there may be a risk that multiple individuals named in the beneficiary deed may not agree with what should be done with the home. The second line of defense is using a trust. Trusts provide instructions as to how homes and other assets should be divided and what should happen after the homeowner dies. Clearly laying out instructions is the best way to minimize family conflicts, and trusts are the most effective way to lay out those instructions to loved ones. Trusts are a great planning tool, as they do more than just avoid probate if written properly. Thirdly, while simply adding individuals (usually grown children) to the deed of the home will often avoid probate, the risk is that the home is exposed to liability from those additional individuals. For example, if the individuals have a car accident or a credit issue, then there is a possibility that the liability could attach to the home and put the homeowner at risk. The Polaris Law Group, LLC goes a step further. They counsel their clients to encourage family meetings so that everyone is on the same page, which tends to keep the family disagreements to a minimum and to facilitate a smoother transaction. One last area where Scott has seen that estate planning hasn’t worked is when the actual transfer of the property and the assets aren’t laid out in the will, leaving it to the client to do themselves. Scott said, “as you can imagine, many people don’t know how to do it, or they don’t do it” which then leads to ambiguity. Even with the best estate planning documents and even with the most expensive attorneys, estate planning requires additional considerations. They involve proper ownership of property and beneficiary designations for assets, and also continual updating of the plans to ensure that personal, financial, and law changes are addressed. For help with estate planning, reach out to Scott at 636-757-3850 or visit the Polaris Law Group website at www.PolarisPlans.com. As a kickoff to 2018 on “The American Dream”, Chad Wilson shared some insight into the St Louis area real estate market, including new construction. With the changes to the tax laws and the reality of low inventory, experts are scrambling to make predictions about the impact on home sales. While no one is sure where the market is headed, all signs point to continued strength, according to Chad. His team is celebrating their best year on record for 2017, with nearly 200 homes sold and over $52,000,000 in closed volume, which equates to his team managing $1 million in home sales every week in 2017. He is anticipating even greater business in 2018. New construction homes continue to be a big part of the St Louis and St Charles County markets, and a big part of The Chad Wilson Group’s business. More home buyers are considering new construction homes, since inventory in resale homes is so tight. According to Chad, “houses that are built today, with code improvements and safety improvements…they’re more efficient than they were ten years ago.” While buyers have to be patient as they wait for the home to be built, the tradeoff for a more efficient product may be worth it. Craig Sewing, host of “The American Dream”, asked Chad why a buyer should be represented by a Realtor when building a home. Chad explained the sales managers work for the builder, and while they are well-versed on the builder’s product, their job is to make sure their employer is profitable on each home they build. Without a Realtor as their advocate, home buyers are alone on their side of the table to negotiate the best home they can build for their budget. According to Chad, having an expert on your side to help you negotiate the allowances and make the best choices on upgrades can really make a difference on the value of the home. When buyers are trying to decide “do I add upgraded flooring or do I put in a bay window and which one is better for after-market resale value”, a Realtor can offer expert advice to spend money wisely. We have a solid working relationship with local builder representatives, and an understanding of incentives that are commonly offered, which gives us an advantage in negotiating a better price for you. We provide an “apples-to-apples” comparison between builders. Based on our experiences, we have a good pulse on local builders’ reputations for quality, construction standards, and home warranty packages. We will advocate for you throughout the construction process, including contract negotiations, build process, and closing, offering objective professional advice and insight. We will connect you with the best professionals in the area. During your home’s construction, you may need a home inspector, mortgage lender, movers, temporary housing, and much more. Decisions, decisions, decisions. From picking your subdivision and lot to which floorpan, structural options and cosmetic upgrades, we have the experience and market knowledge to help you make wise decisions. We can help you weigh options to determine which are vital for future resale, and which options are current trends. We will equip you with information on the local schools, shopping, and recreation. And best of all, this representation is at no cost to the buyer, as the sales commission is paid by the builder. Because of the volume of business that Chad’s team does and the solid working relationships they have with area builders, his team is superbly equipped to advocate and represent buyers in the building process. Contact Chad and his team today at 636-229-SOLD or info@TheChadWilsonGroup.com if you are considering a home purchase in 2018. Because of the values that All American Athlete represent and the exceptional people associated with this organization, Chad Wilson has chosen to serve on the Board of Directors of All American Athlete to give back to the community that we serve. On this episode of “The American Dream,” Chad welcomed guest Coach Danny Blackshear, V.P. of All American Athlete and Coach of NorthStar Basketball, to the show to discuss the charity and its plans for building a dedicated gym in Wentzville. Coach Danny Blackshear started his coaching career in 1977, a career which has extended over four decades. Coach Danny possesses exceptional leadership and a strategic vision to make this nonprofit program successful so the organization can accept and assist all athletes. All American Athlete has relied for years on gym time at local school gyms in the Wentzville area, but as anyone with kids in sports in the area knows, gym time is in high demand. The organization is constrained by the limited availability of school gyms. Without having a dedicated space of their own, All American Athlete has been limited in their ability to schedule consistently and to truly implement the coaching and curriculum that defines All American Athlete. Owning and operating their own facility would allow the organization to have regularly scheduled practices and game times for all of their sports activities, as well as the space to offer a learning environment where they can teach the children necessary life skills, sports nutrition, fundamentals of teamwork and more. • Building of approximately 22,000 – 30,000 sq. 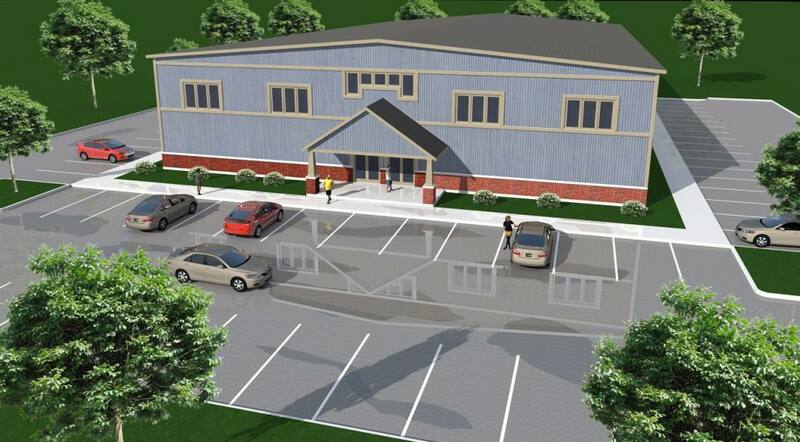 ft.
All American Athlete’s goal is to raise $1 million to build this facility. Chad's passion for All American Athlete prompted him to organize and emcee a trivia night recently in New Melle to raise funds for building the new facility. The event was successful in raising over $15,000 for All American Athlete. How can people help? To donate, visit https://allamericanathleteinc.com/donate/. Your donations are vital to the success of their children’s center. and will put them closer to their dream of having space and facilities to continue their mission of contributing to the overall success of each child with whom they work. Please consider donating to help advance this wonderful cause. Find out more about All American Athlete at https://allamericanathleteinc.com. Phase III of the Page Avenue Extension opened in late 2014, providing another alternative over the Missouri River connecting St. Charles and St. Louis counties. The Page Avenue Extension, officially called Route 364, provides an alternative to I-70 and I-64, which are frequented more heavily by interstate and semi-truck travelers. The Page Avenue Extension has become a major commuter route for St. Charles County residents, and has certainly changed the way people live and commute in St Charles County. Since Phase III opened, a great deal of adjacent land is being developed into new subdivisions, especially between Mid Rivers Mall Drive and Bryan Road. This stretch of road is ideal for people to live, because it is just minutes from all major commuter routes in St. Charles County, including I-64 and I-70, as well as being convenient to dining, shopping and entertainment. Cassie Lueffen, co-host of "The American Dream", asked Chad to tell the viewers about one of his favorite new construction communities along the Page Avenue Extension. Chad indicated that one of the hottest communities, located between Highway K and Bryan Road, is the Villages of Montrachet. 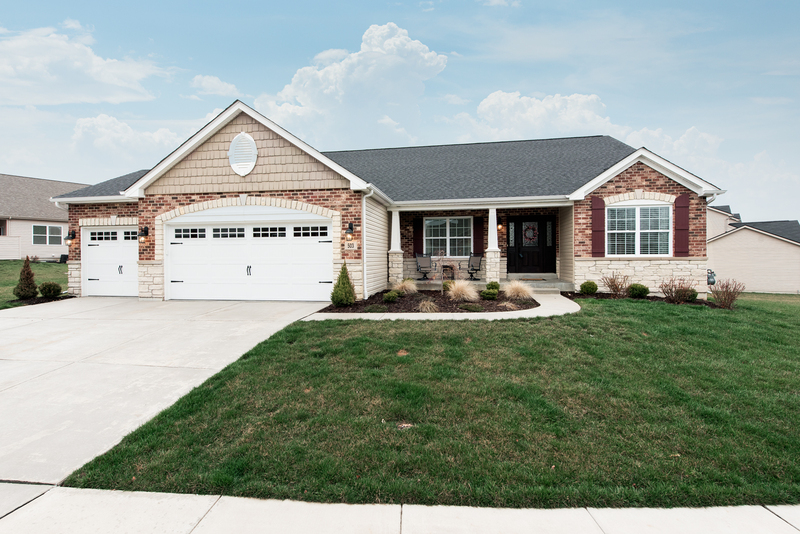 This community features homes by 2 area builders: Payne Family Homes and McKelvey Homes. Payne has just 31 lots left in this subdivision. This beautiful community is a hidden gem, set back off Hwy 364 and surrounded by nature. It almost feels like country living with its serene setting. Truly a family-friendly community, Montrachet offers residents full sidewalks, a private lake, and beautiful walking trails. The community is served by Twin Chimneys Elementary, West Middle and Fort Zumwalt West High School. The Villages of Montrachet features Payne Family Homes’ Vision and Lifestyle Series homes, consisting of homes ranging in size from 1,300 SF to 3,388 SF. Distinctive exterior elevations provide character to the subdivision. There are plenty of options so buyers can build their dream home. Pricing starts from the $250,000's. Also, the 2016 St. Jude Dream Home is located in Montrachet. With the 2016 campaign, Payne helped raise more than $3 million for St. Jude. Payne Family Homes is now in its fourth year of building one-of-a-kind homes for St. Jude Children's Research Hospital. 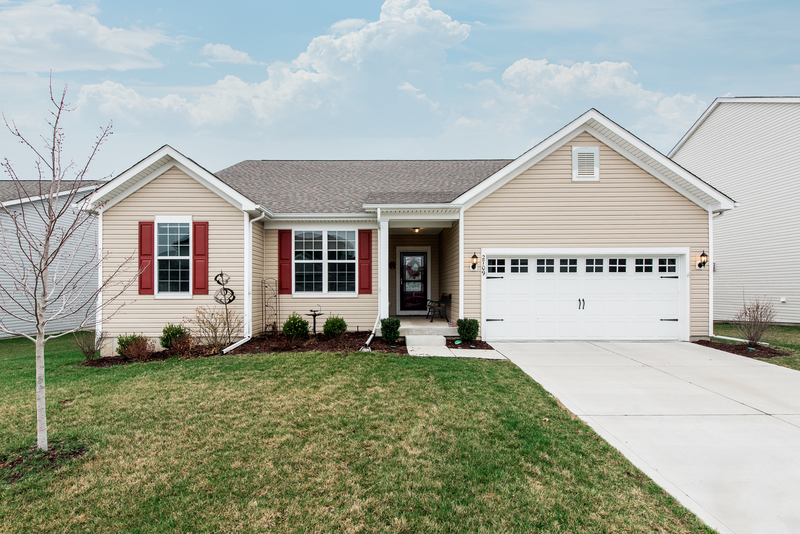 Call us today at 636-229-SOLD to schedule a time to tour their two fully-decorated display homes.